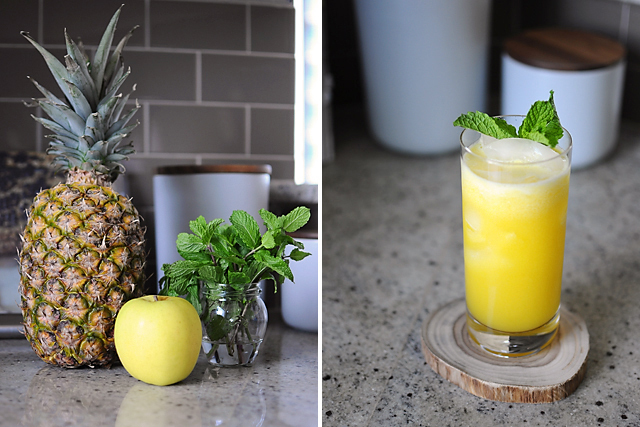 I make fresh juices regularly and this Pineapple Apple Mint Juice is one of my favorites. I first fell in love with it when I had BluePrint Cleanse’s version. It is so good that I had to recreate it at home. 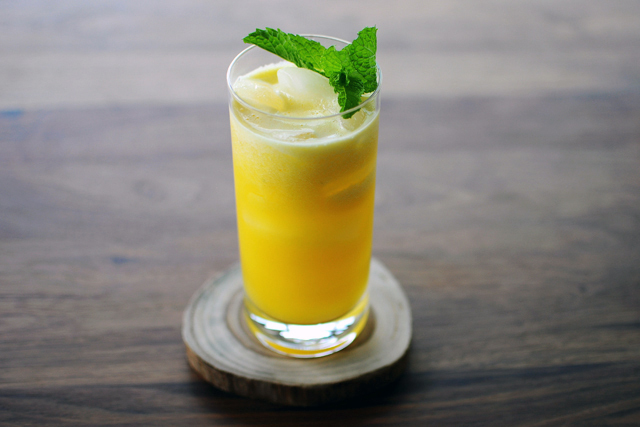 The combination of pineapple, apple, and mint is light, refreshing, and perfect for summer. I think the best way to describe it is a mojito meets pina colada (but a fresh, healthy, and non-alcoholic version). 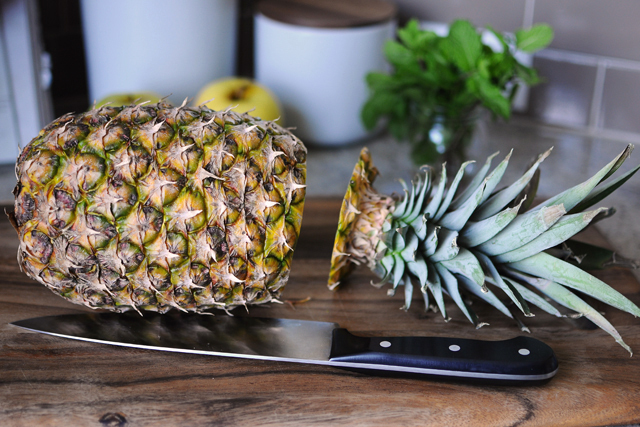 If you have a juicer, you need to try this. And if you don’t have a juicer, but have been thinking about getting one, I totally recommend it. I seem to be juicing everything these days, so expect more juice recipes from me in the future. Run all the ingredients through a juicer. Pour over ice and garnish with additional mint leaves. Makes about one 16-ounce serving of juice. Wow this looks terrific, great for a summer day! I will definitely have to try this recipe, love your photography as well. Hi! This looks delicious! Do you think it would be possible to make with a food processor.. and a strainer? Hi Adele! Using a food processor and strainer seems like it would work, but since I haven’t tried it myself I can’t say for sure. It may work better if you strain it through some cheesecloth though.